Journalism is one of the fastest emerging career fields among the today’s young generation. “The pen is all time powerful than the sword”. This is one of the basics of journalism. In today’s world, people want to be aware all about the activities in the country, if it is about politics, celebrities, science and culture of India or from international affairs. Journalism is a proper way of communication between the news and the people. Journalism is basically depends on the principle of truth, editorial independence and disclosure. By the growing trend of media and technology, the people are being in touch through the radio, television, mobile, social media and the internet by the great efforts of the mass media. Journalism is spreading the information and communicating through the emerging technology and the journalist is playing the vital role in this practice. A journalist covers the information about the business, culture, politics, arts, economics, history, entertainment and sports. Get Latest Career Notification about Journalism Courses, by entering your details below. These days, the young generation is moving towards the professional courses in journalism. If you are bold, hard-working, talkative and talented, the career of journalism will suit you and you may have good future ahead. There are so many events happening in around the world and we can see all stuff from our home. You know why? Because, mass media is providing the information to the large crowd at the same time, but, someone would have collected the information from the event site, this is the main role of a journalist. Several Indian universities and college offers the graduate degree courses in journalism and mass media. Some private institution also offers the diploma courses in journalism. These are professional courses and can be pursued after the completion of 12th class. If you have flair to writing, you may join the professional programme to sharpen your career in this field. You may pursue the courses in journalism or mass communication if any of subjects you had in 12th standard. “After completing a master course in this field, you can also opt Ph.D (Journalism and Mass Communication) programme”. For admission in journalism courses, the candidate must have the 12th pass in any stream. 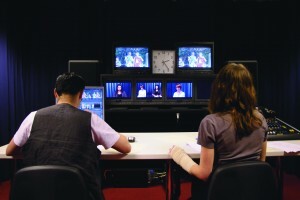 There are some entrance exams conducted by some private universities for admission to their diploma and degree level journalism courses, Indian institute of mass communication (IIMC 2019) is a government institute under Ministry of information and broadcasting (MIC) conducts entrance exam for diploma and PG diploma courses. The skills that required in the candidate for the admission in these courses are alertness, investigative mind, tolerate of difficult situation, English language proficiency, good communication skill, enthusiasm, confidence, patience, view on fact and fiction in-depth knowledge in culture and current affairs. “There are ample of job opportunities are available in the field of Journalism”. The print journalism involves the newspaper, magazines, journal, digests and text print media agencies. The electronic media involves the TV, internet and radio. The web journalism is one of the fastest growing divisions of journalism and is very effective that connect the word at the same time. There is the best career opportunity in journalism field. From the last 15-20 yrs, the world of journalism or media has been changed thoroughly. Now, the involvement of social media and internet network has brought the flood of jobs and opportunities in this field. The news channels are mushrooming in India at very fast rate. The number of the blogs is increasing day by day and in the same proportion the demand of professional in media and journalism is growing. At very initial level, the candidate will get the salary of 5000 – 10000 per month. After getting experience in hand, he/she may get the Rs. 15,000 – Rs. 25,000 per month. Many times the remuneration is depends on the reputation, status and salary policy of the organization. An expert having sound experience and good platform may earn the Rs. 50,000 – Rs. 1,00,000 per month. For any other queries about Journalism, you may leave your queries below in the comment box. Hi…sir this is lakshmi .im completed b.com n i have interest about in journalism field bt i dnt know how whichever is gud course so if ur givesfull conformation about this means fee,yrs ,ect…pls inform my number..im waiting. you can pursue, 2 year PG course in Journalism, from any good institute. The duration is 2 years, the course fees is 50k to 60k per year. i have completed my graduation in commerce…can i do journalism in my post graduate? hello i am krishna mohan from a small village haldharpurmau),u.p. i want to become a journlist to support the brave soldier. IF SOMEONE HAS TAKEN SCIENCE IN 12TH BUT NOT MATHEMATICS WILL HE BE ABLE TO PURSUE JOUNALISM? Hello! Iam puja and I’m now in 12th(science). Iam interested in journalism what should I do? My friends suggest I must complete some degree first n pursue journalism later bt I don’t want to do that! I want to join journalism as soon as I complete my 12th! Is that possible!? If yes,will that be beneficial?? The situation is same with me too! All my friends want me to join engg and then journalism bt I chose journalism because I don’t want to join engg or med. I want to pursue journalism as soon as I complete my 12th! I’ll be thankful if you could give me some good info on this! Currently I m pursuing BBA, I m in 2nd Year, can I get in to journalism and mass communication after completing my graduation, and what all do I require to apply for its entrance exam, is CAT necessary? you can pursue pg diploma course in mass comm after your BBA, no CAT is not necessary. Hi, I am in 12th std in arts stream. I want to be a journalist in electronic media as a news anchor. Which course should I choose after 12th. You should do journalism and mass communication. visit to Career As Radio & Video Jockey. you may pursue a degree course in journalism. I am doing m.p.a and i m passed 12 ..
Hi, I have completed my Btech. But I want to pursue Journalism now. Can you please suggest which one will be a good college ? i have done my private B.A. now may i take admission in B.J.M.C. I have completed my +2 science. I am good in English communication and good in stage anchoring. I love travelling and I prefer a job in that. I wanted to be a flight attendant or jouranilsm like anchor. But what would be best course to choose can I do anchor after BTA? or can I pursue BA travel with journalism ? Set your one goal. You like more things, you need to find yourself among out of these. grab a potential field. Hello, I’m in 12th commerce stream. I want to prepare for Company Secretary exam, beside I want to be graduate in BJMC & then 1 year PG Diploma in mass communication. Please guide me can I do all these courses & Can I do MBA later after PG Diploma ? Hi, My communication skills are very impressive but my maths is very weak and I want to be a journalist. I want to do bachelors of journalism and mass communication. Am I able to do this course? I am feared of math. Please tell me should I do this course. All is Ok. You can do it. Hi! I have just completed my H.S exams. I was in Science,,BUT I want a acarrier in Travel Journalism..So which course I should pursue..? What’s the age limit for the journalism course? yes you can do that, but look for a good institute with good placement record. I’m presently studying in B.A 2nd year (general). I’m interested in journalism (reporter) line.plz suggest me what should I do now? what percent is needed in h.s or graduation to join a good journalism collage in bachelor degree or in post graduation level? im interestd in journalism…. i speak eng very well… im good in writin too…. wich stream shud i tak aftr 10th….?? i dnt wanna take arts dats fr sure… cud any1 help me out wit it…. Hello, I am a commerce student. How about journalism after B.B.A. in any commercial field? I am in bcom 1st year. I want to drop this year and continue with BJMC. But it brings a guilt inside me of dropping an year. Am i doing right by dropping this year? I am vry much interested in travel journalism ! I like to travel d world ! Hw m i supposed to pursue travel journalism ? I mean what is the pathway for it ? I am doing physiotherapy 2nd yr bt i want to quit this n get into journalism bt i am interested nly in travel journalism so how to pursue ? MY NAME IS NISHA ARORA, I HAVE DONE MY POST GRADUATION FROM SCIENCE(M.SC BOTANY)NOW I WANT TO JOIN THIS INDUSTRY AS A REPORTER… CAN YOU PLEASE TELL ME WHAT SHOULD I DO? You have done a different course than journalism, so .for that you must have some skills for this field and subsequently you must do journalism course for better future in this field. BUT….. Why you need to switch your career, although you have a good opportunity in your field? For journalism bachelor degree is compulsory? If no then which college ya institute is best for me? bachelor degree is more considered to grab the job in this field. But some of the private institutions offer diploma courses in journalism and that may be considered if you have a good personality and skills to represent this job. *Is journalism a good career in future ? *Will i earn a good salary? Go through the article of Journalism. It will provide you many beneficial details about journalism. hlo..! i am neetu from varanasi i m study in class 10th in army public school and i want to become a journalist . but i m not a good anchor ,low confidence .. 🙁 is there any chance to bright our future without this two qualities. Not possible without these qualities. currently im doing my btech course but i wish to switch to journalism.should i pursue undergraduate or post graduate course?which would be best? Postgraduate course has more than importance than UG course. i did my graduation in b-tech electronics but i am very passionated about journalism. so please suggest me some course which i should do to become journalist. Hi I’ve my 12th class and now i want to do journalism and I’ve opted to go for 3 year ba (h) journalism and mass communication (jmc) from pearl academy delhi.. I wanted to ask :1. Is pearl academy a good choice to go for jmc and 2. I’m not very good at english…..so am i not elegible for doing journalism? ?????? Please help I’m really confused. The Media and Journalism field has good scope in both electronic and print media. You must have good communication skills in both English and Hindi. Am done with Diploma in information science,but my desire is to be a journalist.Which part will i specialize as i am planning to take my Degree. you have choose core journalism, print/electronic media, you can also specialize in broadcasting. I am studying tenth standard. I want to do journalism after my twelth. Can anyone suggest me the best stearm to choose in twelth..
can i become a journalist after completing my mba? then which college or for which course should i apply? you can check the details above, if you’ve any query you can ask us. Yes you can apply for the exam. You should check inn which feel your are interested,if you’re interested in journalism then you should have good written & verbal communication skills, you can pursue degree course from a recognized college. Hey I am doing 12th comm. l am interested in news anchor . plz help me with a suggestion that what should I do after 12th? You can join UG programme in media and Journalism. Hey I am doing bsc with maths .I am good at writing and anchoring too. I luv to anchor. Will u plz help me with a suggestion that what should I do now. .?? You can pursue a part time course in media and Journalism from a recognized college or institute. Hello , I am pursuing BA Program From SOL ( SCHOOL OF OPEN LEARNING ) After my B.A . i am eligible PG Diploma Course in Journalism or not plzzzzz answer me??? I’m presently studying in 12th science (bio). And I’m interested in electronic journalism (reporter) line.plz sujjest me what should I do after passing 12th n what percent is needed to join a good journalism collage . you can pursue journalism after completing your B.Sc. If you’re interested in Journalism, then Arts stream will be good option for you..
any one because you have interest in both field. Hey, I am presently in 12th grade and I have chosen commerce. So can i persue journalism after I complete my BBA? Hey! I am doing B.A. (2nd year). I am good in writting and want to write for newspapers and magazines as columnist. What should I do next? you can go for a degree course in mass media or journalism..
yes you can also pursue diploma..
Hie… My name is chandni and i’m studying in 10th i am too confused about which stream i could choose for my 11th… I want to become a bollywood journalist for that which course i can take after my twelfth… Can u plzz suggest me! You may go for mass communication or BJMC. you should be good in communication both hindi and english..
Hello Vyshnavi, you can opt journalism, is a fastest emerging career field in these days. Hey..this is Shreya I am a humanities student presently in class 12th in Loreto. All my life I hv been dreaming of bcming a journalist..I have got a flair of writing n fortunately a good communicative skill too. Would u please hlp me to choose d ryt course tht I can pursue ryt after my 12th..i wish to get into Christ university..please? yes, you can pursue BA in Journalism, after that you can go for PG programmes in Journalism and anchoring.